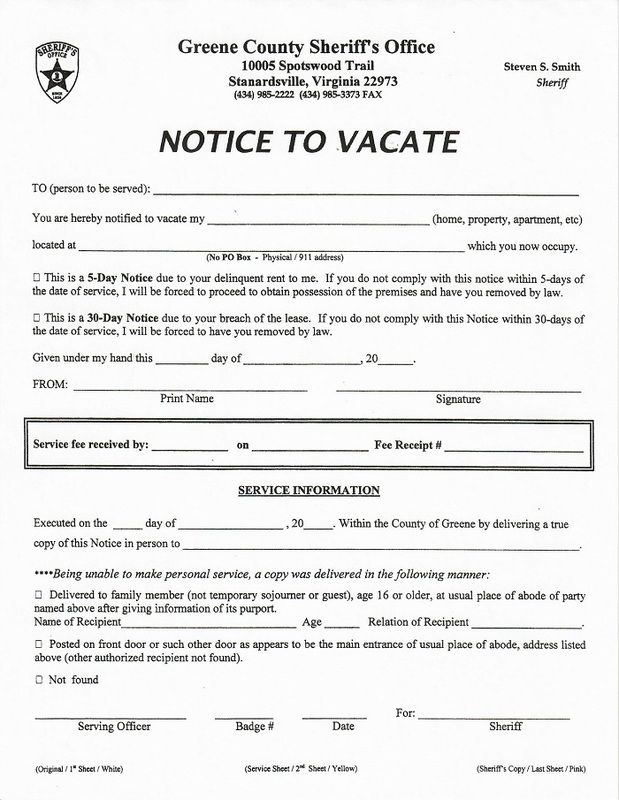 A Landlord Notice to Vacate informs tenants to vacate the rental property and remove their possessions, and the Tenant Notice to Vacate form is used to notify landlords and property managers that the tenant intends to vacate the rental property and return the keys by the expiration of the term. Notice to Vacate forms are located in the Sheriff’s Office. You must fill out the 3-part form in person, giving authorization for the notice to be served to the individual you wish to vacate your property. Only property owners have the ability to require indivuals to vacate the property. The cost to have the paper served is $12.00.